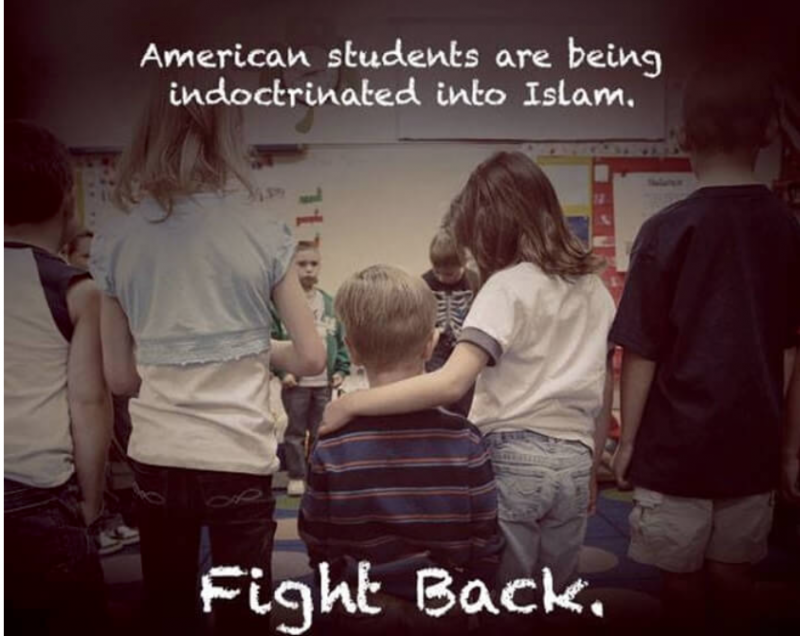 This CAIR-initiative was a Trojan horse for Islamofascist indoctrination and the suppression of the constitutional rights of non-Muslim students. 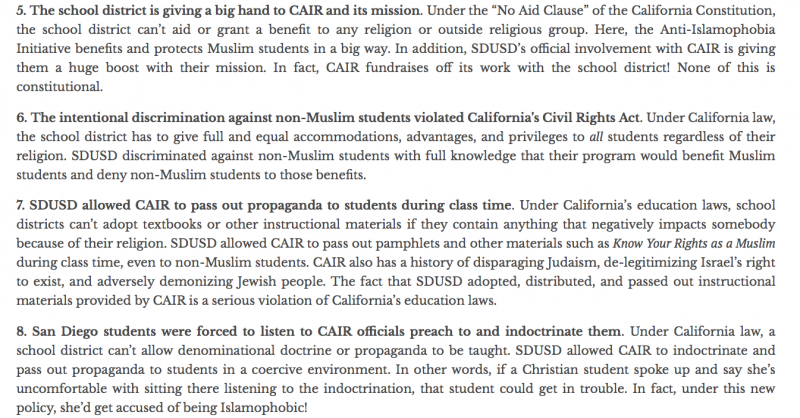 MEForum The Council on American-Islamic Relation’s (CAIR) ubiquitous presence in the San Diego Unified School District is over, thanks in part to the Middle East Forum. A settlement in the federal lawsuit against the District, substantially funded by MEF, ends the District’s “anti-Islamophobia initiative” which: (i) singled out Muslim students for special protections; and (ii) empowered Islamist CAIR to change the District’s curriculum to portray Islam more favorably. 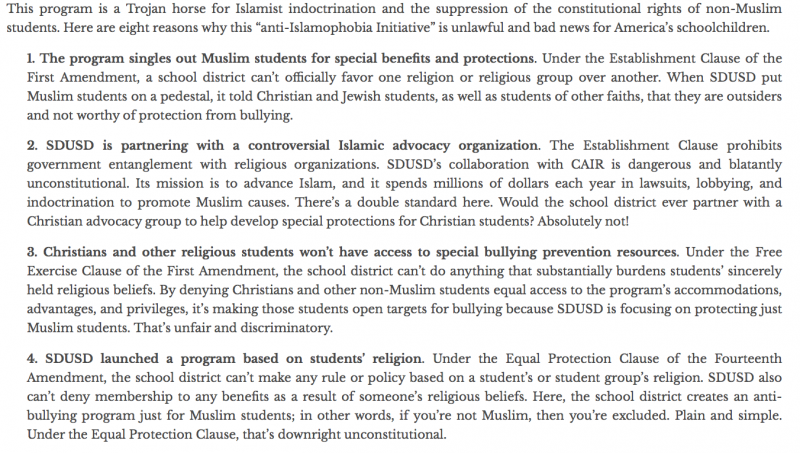 Freedom of Conscience Defense Fund announced Monday that it has finalized a settlement agreement (full text) with the San Diego Unified School District, resolving a lawsuit that it filed in 2017 challenging an Anti-Islamophobia program instituted by the school district to combat alleged bullying and harassment of Muslim students only. Thank God! It seems we have so few victories. This was an important one. LZ, I bet you won’t see this story in the MSM. We won’t. Just as we never heard of the bus full of schoolchildren set alight by a muslime savage in Italy who had “had enough”. I’ll bet even another attack on the WTC wouldn’t be covered now. Their sole focus is brainwashing us into loving the muzzies. “They are us”, is splashed on every page of the newspaper. Absolutely nauseating, and scary too. The kids have been infected, regardless. Something needs to be done to debrief them. Newton, Massafhuseetts — heavily Jewish, Mewton Massachusetts has an antisemitic and pro sharia high school cirriculum. Charles Jacobs of the Peace and Tolerance party has had to sue the Newton, Mass., public schools to stop this idiotic evil. It has taken him seven years to do this, but it is being done. 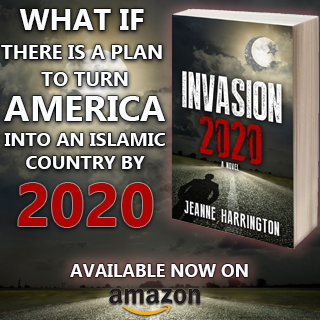 Just as the Communist of old tried to slip in their dectatorial nonsense into the institutions that they worked in, so the useful idiots for Islam are doing the same thing for jihad abd sharia. Hopefully, youll be able to write some good news about Newton, Mass as you did with San Duegoim, Ca. 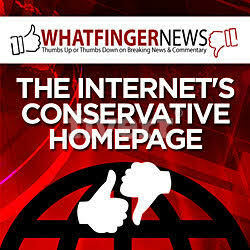 If I lived in that school district, my next move would be the removal of the entire school board! 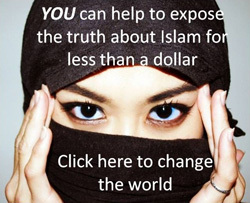 The Council on American Islamic Relations “CAIR” is an insidious organization. 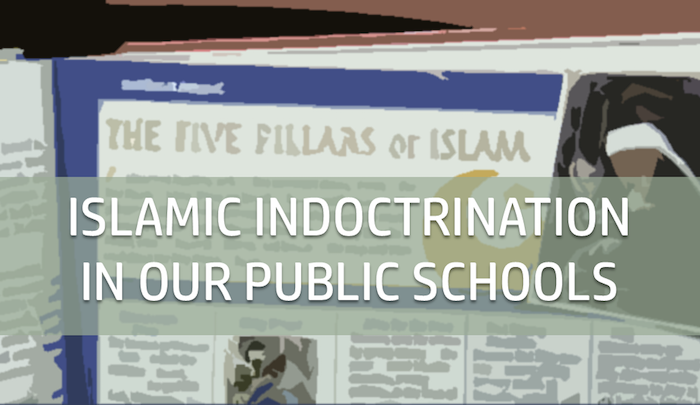 This approach of getting into the teaching curriculum and other programs in the schools is dangerous, because the aim of CAIR’s programs are to start indoctrinating children in Islam, so that they will eventually become converts to Islam. This is all part of CAIR’s process to slowly transform the United States into an Islamic nation. It is good that the U.S. Court stopped this program. These programs do not belong in public schools. I can understand why Parents with children in these schools are upset and fight back in the courts when Islam is taught to their children in public schools. It’s the best news of the day! The parents deserve a medal for valor. Yesterday was the Supreme Court ruling in favor of Trump’s deportation plan of illegal criminals. CI, yes, it is ALL due to the parents, over the past two years, pressuring the school board, getting defeated, taking it to the courts, getting defeated, and taking it to a higher court, and finally succeeding.